Just came in this afternoon. Serial number 003. If I can get past the cancer,I hope to put it in the dead stock 33 Dodge shown in the photos,and drive it around and enjoy the HELL out of it just like you see it in the photos. This was the type of car I used to see running around when I was a kid that you could buy and enjoy for 50 bucks because I had some hope of one day having 50 bucks. Had and still have practically zero interest in new cars,but I LOVED the hell out of stuff from the 30's and 40's. I will never win any prizes at car shows or runs with it,but you can bet there will be nobody there having more fun than me. Had a local guy ask me last year if I knew anybody interested in buying the good running 251 6 out of his 51 DeSoto for 250 bucks,so I snapped it up and it is now sitting on my garage floor next to the 33 Dodge. 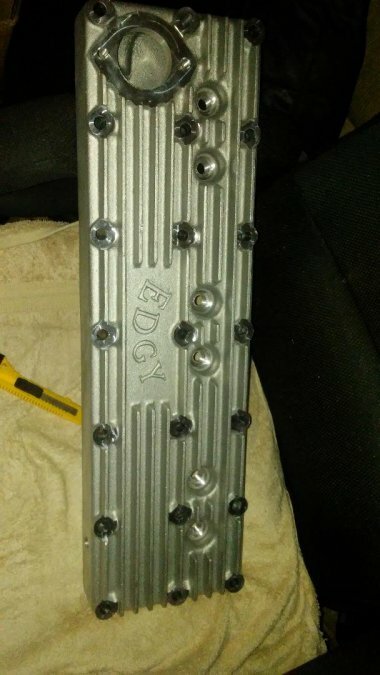 I also have dual carb aluminum intake and carbs for it. About the only piece I am missing that I can think of is a set of cast iron headers. so I can run duals. I prefer the sound of the cast iron over the tubular headers. Every time I think about this I want to stop what I am doing and do a little happy dance. If I can get past the cancer,I hope to put it in the dead stock 33 Dodge shown in the photos,and drive it around and enjoy the HELL out of it just like you see it in the photos. This was the type of car I used to see running around when I was a kid that you could buy and enjoy for 50 bucks because I had some hope of one day having 50 bucks﻿. 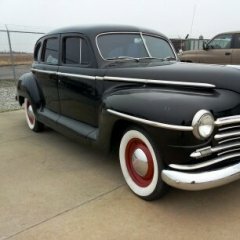 Had and still have practically zero interest in new cars,but I LOVED the hell out of stuff from the 30's and 40's.